The Specialist Vehicles Department of Adrian Flux specialises in a variety of specialist van and truck insurance markets, including vans used for hobbies or other personal uses. We can offer cover for almost all types of van and trucks owned and operated by private individuals and used for social, domestic, pleasure and commuting uses (also known as SDP and commuting use.) As specialists we are able to offer cheap personal van insurance policies, ideal for anglers, surfers, amateur DJs and musicians, astronomers, mountaineers, car booters as well as enthusiasts of paramotoring, motocross, quad racing, mountain biking and almost anything else you can think of, and we can even offer cover of up to £1,500 for your sporting and leisure goods while they are in the vehicle. Alternatively you may need private van insurance if you are carrying out home improvements to your own property, or if your van is your main form of transport. You may even be a classic van enthusiast, and we can help there too. At Adrian Flux, we believe insurance policies should be tailored to your needs, that's why all our personal van insurance quotes are designed to suit your particular needs, and whether you need hobby van insurance cover for a model railway or for your watersports gear, we can help you find a suitable quote. All our private van insurance policies are designed especially for you and our staff have a high degree of knowledge in this field. This is not an on-line quotation system using computer rates. Instead each risk will be individually calculated by our expert staff. Please note that our sales staff are insurance experts not just button pushers and along with our tailor made personal van insurance schemes, UK based call centre and special schemes we believe we offer the best quotation service for van insurance for personal use around. 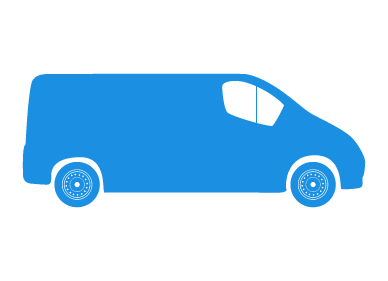 Quicker & Cheaper rates by phone, please complete the call me form during office hours 9am to 5.30 pm Monday to Friday & 9am to 4pm Saturday for immediate & reasonably priced SDP van insurance quotes.